After 6 weeks of hard work and dedication, the girl and her dog graduated from obedience school. This dog has been the best thing my girl could have in her life these last few months. It was finally decent enough I could get back out on the ridge with my Dotted Dog. I had forgotten how important it is for me to have that quiet time – it is when I connect to the Divine in a completely different way. I actually feel much better now, I still have no idea how we will make things work, but I have faith that it will work out. I have been looked after every step of my journey and I can’t believe God will just stop now. It felt good to get back out in the sunshine again – in the world and inside my soul. This morning was the ride I’ve waited years for. For the first time I didn’t feel scared at all about getting on and heading out. 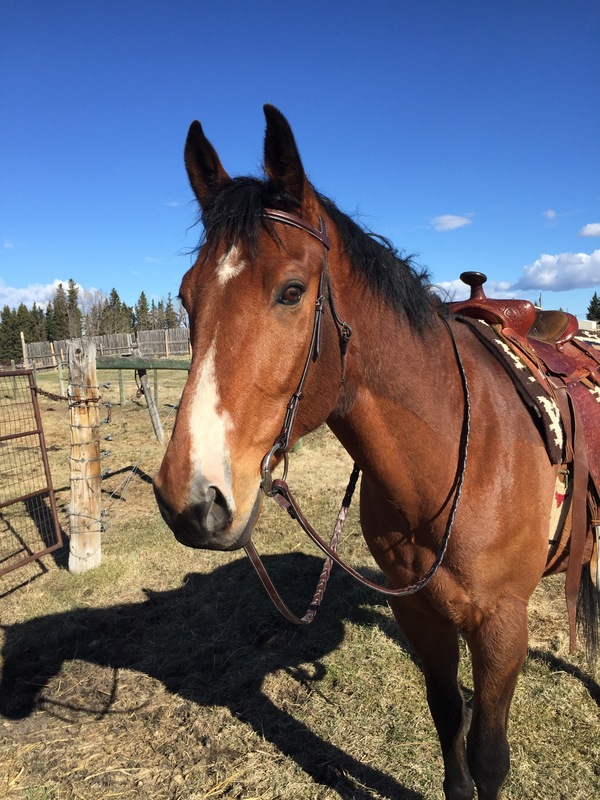 I relaxed almost immediately on his back, and the constant chatter I had with my horse in my youth came back today. 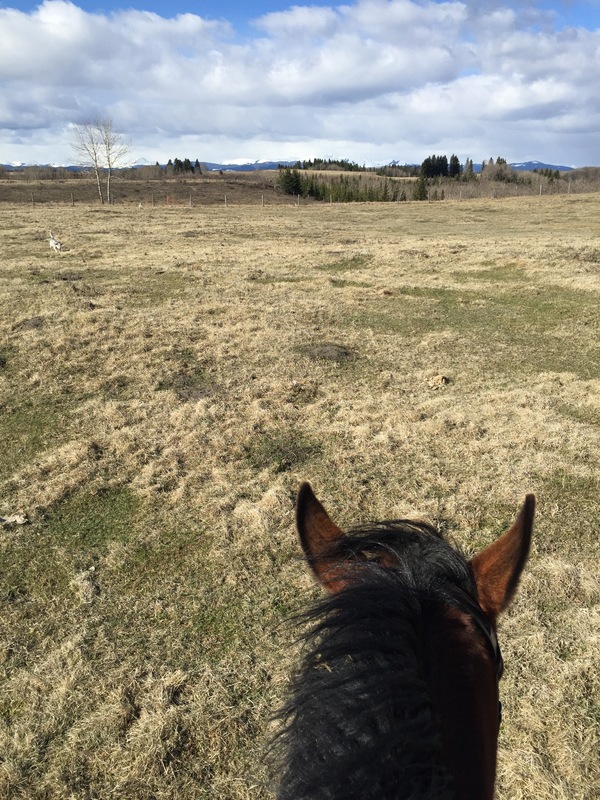 It’s this mindless chatter that is part of what connects me to God through my horse – it’s a way of opening the connection while staying perfectly in the moment. My Dotted Dog ran around while we walked through the field looking at the beautiful spring morning. Honestly, moments don’t get much better than ones like this. Happiness to the core of my soul. Look at this face – he is proof that miracles can happen in my life. He is perfect. The girl had two ball games this afternoon and although it was cold, windy, and a little rainy, the girls played some great ball. Near the end of the game it was her turn to pitch – for the first time. What I love about this team is the way everyone is so supportive. The coach is so gentle and kind with the girls, and the parents all cheer on everyone’s kids. What a blessing that she is part of this team.